THE MAYBELLINE STORY : Maybelline Girl transforms her image to fit the times. Maybelline Girl transforms her image to fit the times. 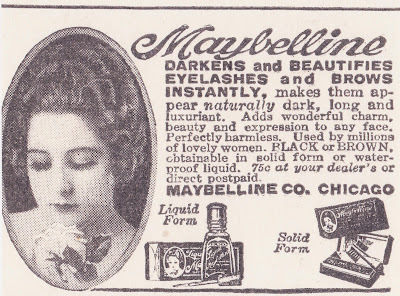 In 1916 the original Maybelline Girl was modest and shy, captivating the public with her long luxurious dark eyelashes. 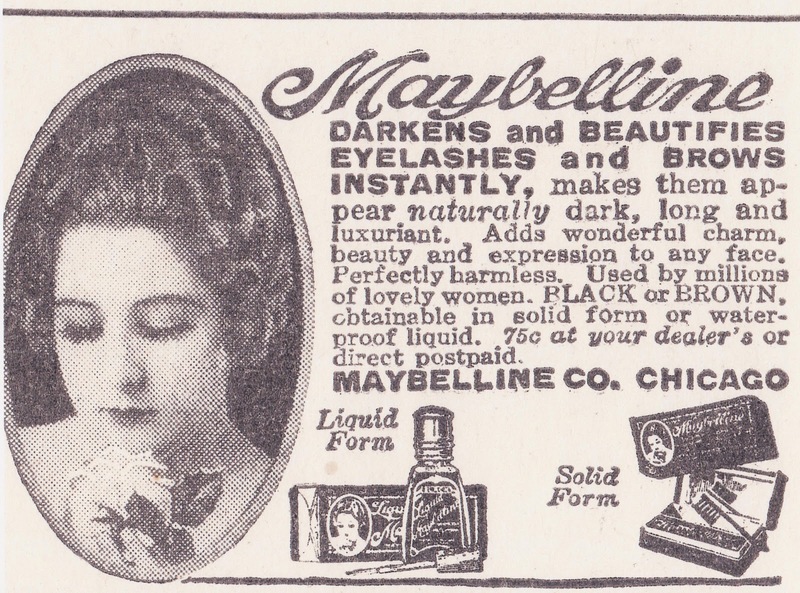 By 1932 a more confident Maybelline Girl opened her heavily made-up eyes, donned a Marcel wave and looked like she meant business. Women even during the depths of the Great Depression wanted their pale scanty lashes instantly transformed into the appearance of long, dark luxuriant fringe with Maybelline Mascara - and there was no turning back. "We've Come A Long Way Baby,"
and like the Maybelline Company it was just the beginning of a wild ride. Another First for Maybelline when Tom Lyle decided to come out with a new and improved image of his original Maybelline Girl, making her a modern symbol of the times. Read more about Maybelline's roller coaster ride from 1915 to it's sale in 1967 in The Maybelline Story and the Spirited Family Dynasty Behind It.